Cloth diapers are amazing and I love them. They offer a more breathable and better skin care solution for babies prone to rashes. Using natural fibers, like 100% cotton for example, is our go-to cloth diapering solution. I personally prefer these natural fibers for numerous reasons. However, there are some styles of cloth diapers that need a special accessory to assist in fastening. 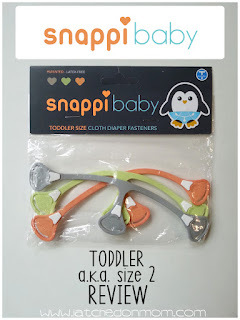 Snappi Baby Diaper Fasteners have your baby covered (literally!) and now they are also available in a larger size! 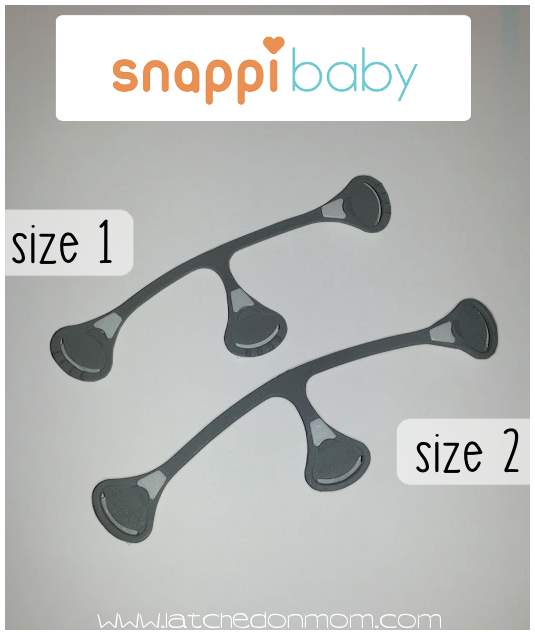 The new size 2/toddler sized Snappi fasteners stretch even further across the diaper than the size 1, actually 50% bigger, in fact! 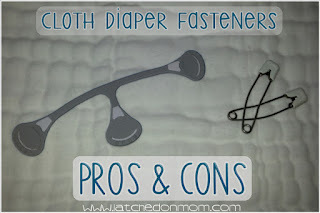 These are great and I'm going to share my experience with them, as well as some PROS & CONS to cloth diaper fasteners. First of all, let me reacquaint you with the size 1 Snappi Baby Diaper Fasteners. I wrote about them about a year ago HERE. If you don't feel like reading it or you already feel like you know what a Snappi is, then let me just give you a few important facts about them. Here's a HOW-TO video, no matter which size of Snappi you're using, you will be using it in precisely the same way. 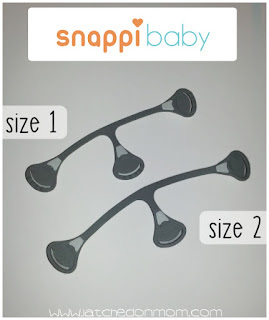 I was sent a complimentary package of these Snappi Baby Toddler Fasteners to help facilitate this review, and compensated for sharing. However all opinions expressed are my own and are not influenced whatsoever. I'm always 100% honest and upfront about the products that I use and I would not share about it if I did not feel it was something parents benefit from. 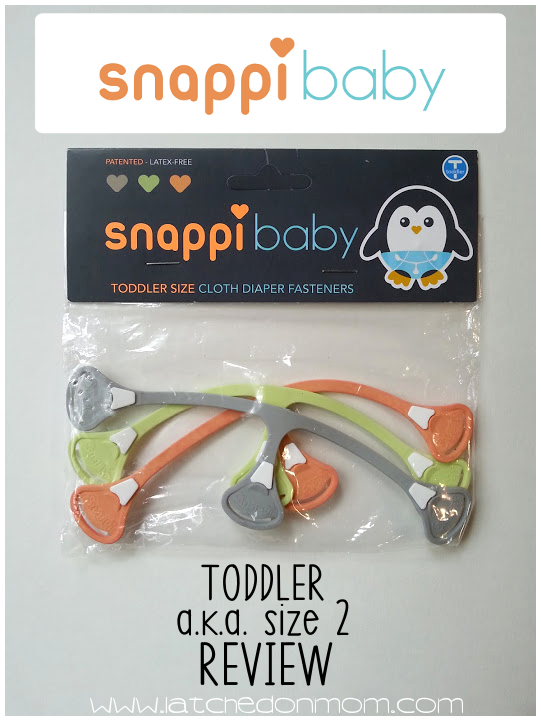 As you can see from the image above and below, the NEW Toddler Sized Snappi Diaper Fastener (also known as size 2 Snappi) is considerably larger than the size 1. This makes them easier to use on bigger babies, or toddlers over the age of one. My daughter is 15 months and 23 pounds. 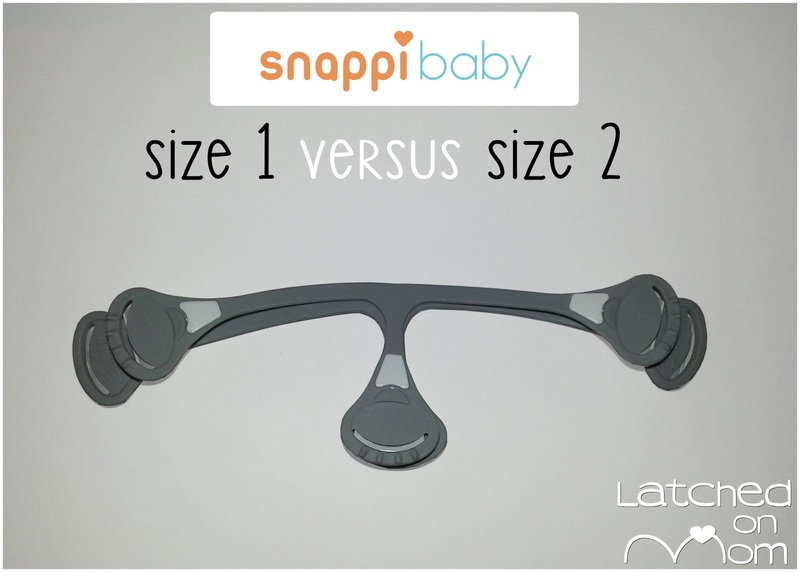 Snappi size 2 is the perfect size, with room to grow! We still are using smaller sized prefolds in the photo below (and in the size 1 review & video too) from Diaper Revolution, and the Snappi grasps the edges and keeps the diaper snug and secure. I LOVE using a Snappi with a Green Mountain Diapers Organic Workhorse Fitted. My next review will go into detail about these fitteds, so stay tuned! 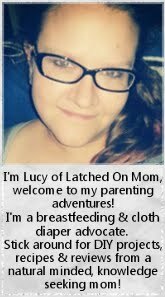 Working on a review of the awesome organic fitteds from @greenmtndiapers & the new toddler sized @snappi_baby fasteners! These fit perfectly & help contain EVERYTHING on my 23 pound chunkalicious 15 month old! I definitely prefer using Snappi than pins! 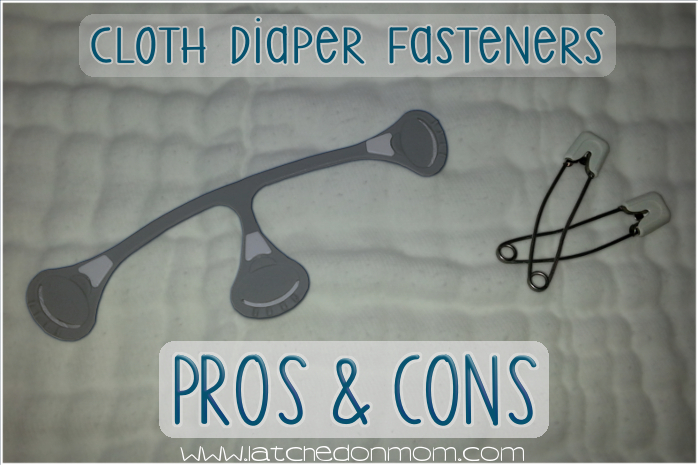 Here are a few PROS & CONS to cloth diaper fasteners. If you have anything to add to this PROS & CONS list, leave a comment below! 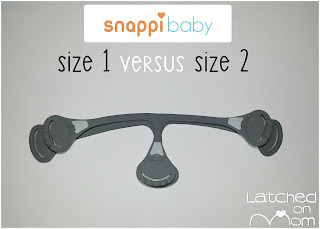 What's my favorite thing about the toddler/size 2 Snappi? It keeps the diaper from moving all about and helps prevent messes from leaking out. Having a Snappi to continue using after the age of 1 year is so beneficial... the diaper messes haven't changed too much, so why should the way it's fastened? I give the New Toddler Snappi a 10/10! 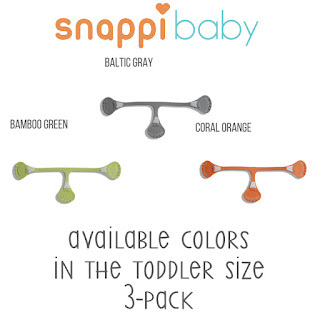 You can shop Snappi Baby at www.snappibaby.com, on Amazon and The Green Nursery. 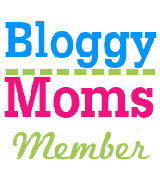 Be sure to LIKE Snappi Baby on Facebook and FOLLOW on Twitter! 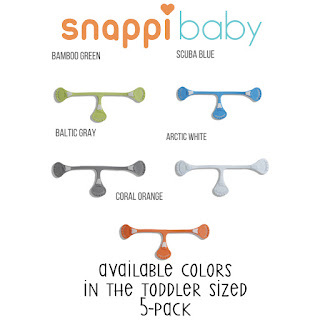 Have you tried a Snappi diaper fastener? Do you like them too? Leave a comment! I love that they made the bigger size! 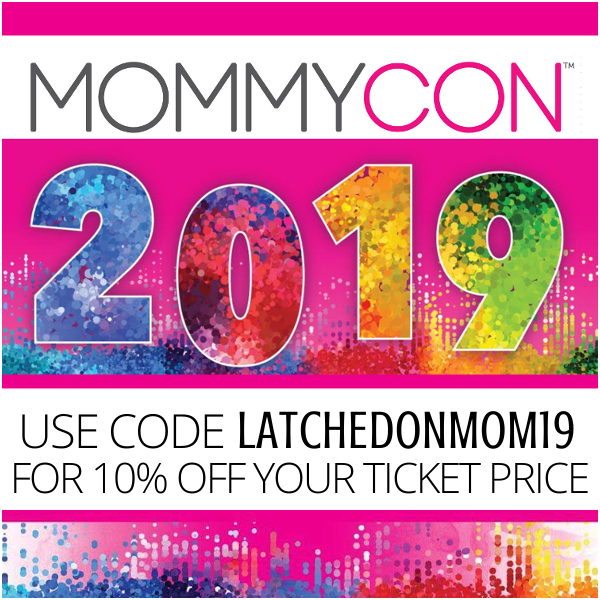 It seems like a lot of companies are making larger size diapers too so this is a great option for families. That 1" makes a big difference!